My guess is that more cedars, or ‘sugi’ have been planted in Japan than any other tree, especially after the Second World War. The national forest adjacent to our Afan woods was mostly planted in monoculture swathes of cedar and larch, with the cedars typically being untended, crowded, and spindly. It was from trees that we trimmed out of this national forest, using horses, that Okamura Company designed and produced the ‘kura’ or ‘saddle’ series of very special three legged stools. Generally the ‘sugi’ can grow to a height of 45 metres or more, with a chest height diameter of 7.5 metres. However, there are famous exceptions, for instance the ‘Jomon sugi’ of Yakushima is just 25.3 metres in height, but with a chest height diameter of 16.4 metres. Sugi grow fast, but slow down after about 100 years, after which they can grow slowly and reach great ages. Jomon sugi is reputedly over 7000 years old, and many other cedars have had their annual rings counted to over 3000 years. Sugi timber is a beautiful, fragrant, yellow-red wood, which grows straight, splits easily and is used mainly in building. For furniture is soft and pleasing to the touch, but is rather soft, and in our ‘kura’ stools was cleverly reinforced with steel. 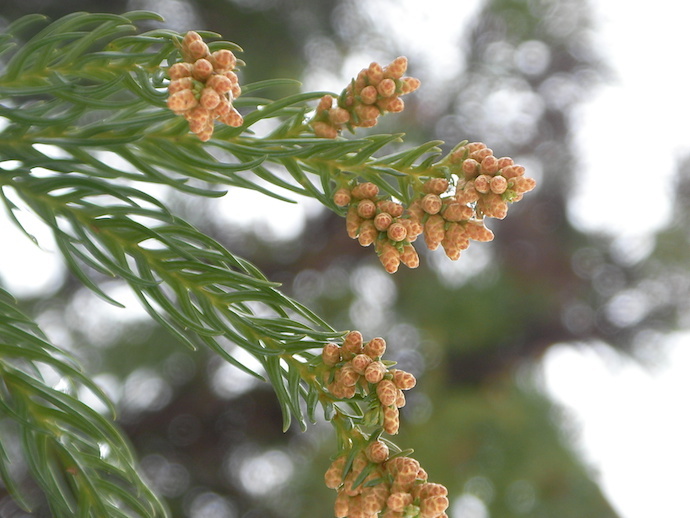 In recent decades the sugi tree has been blamed for serious allergies caused by the clouds of dusty yellow pollen. I planted sugi trees around our house in Kurohime over thirty years ago, but despite the pollen, I myself do not suffer from the allergy. 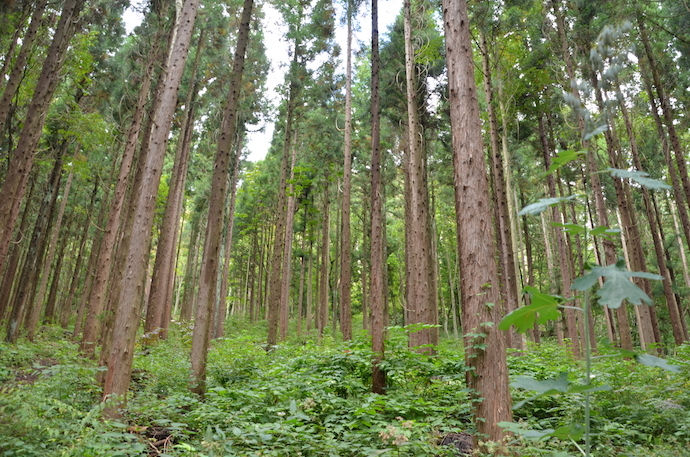 Whatever, conifer plantations such as sugi really do need to be trimmed and tended to in order to grow top quality timber.